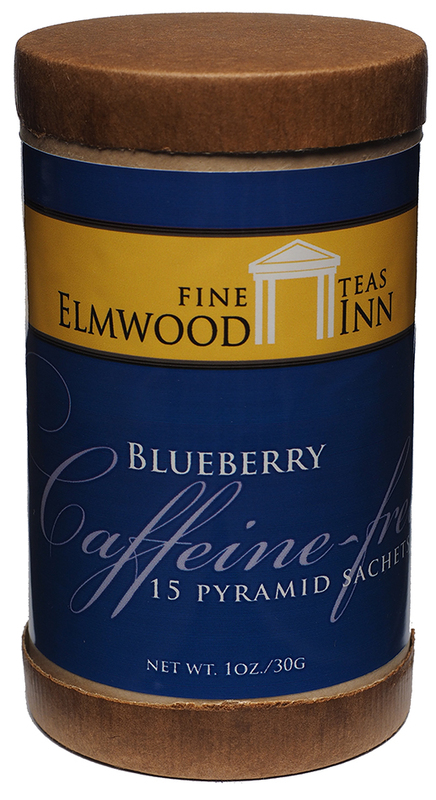 Our best selling all-fruit infusion is caffeine-free. Everyone wants to drink their antioxidants these days and what could be healthier than blueberries? 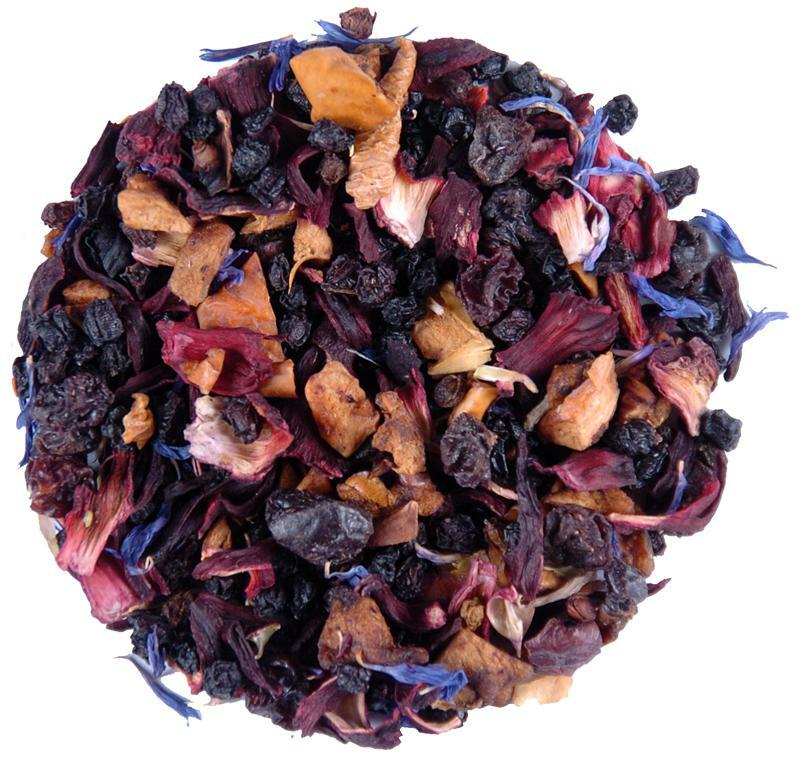 This all-fruit infusion of dried blueberries and complimentary fruits contains no caffeine because there are no tea leaves in it. The longer you brew it, the richer it gets. 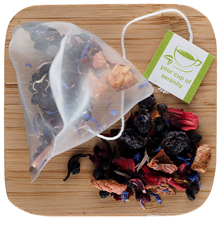 One of our top three most popular teas five years in a row. Instructions: In a large pitcher, combine blueberry tisane, juice, and soda. Garnish with blueberries, strawberries, or orange slices, if desired. Delicious. A favorite ice tea beverage. 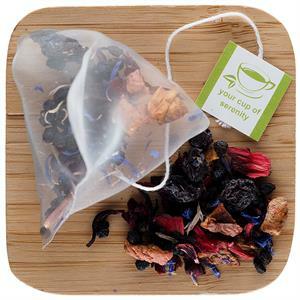 We add 1 Tblsp to a "nylon tea toby" and 1/2 gal water. Our family likes to sweeten tea with agave but any sweetener of choice would work. I have served this for company and everyone loves it. Wow. This is amazing, very flavorful and fruity. Love it hot or iced. 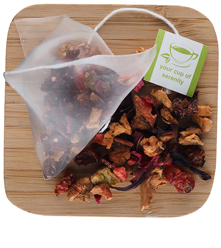 I also really like that you get a generous 16 ounce bag for an affordable price. 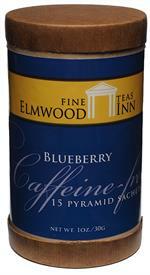 I'm already a loose tea addict and I can't stop buying these Elmwood Inn Teas! !